A bangle of our own authorial project, handmade in 100% from silver (fineness 925). 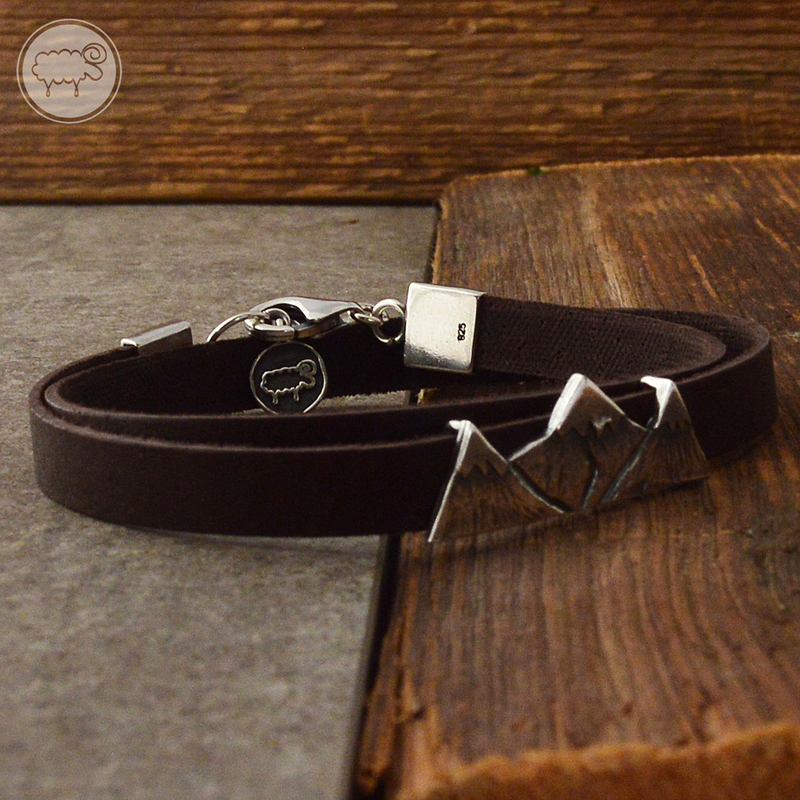 The model of the mountain peaks measures 3 cm x 1,7 cm and is attached to the natural brown leather strap, 7 mm wide. Double wrapped up leather strap is trimmed and finished off with manually bended fastening. The whole bangle is oxidised and manually polished. The length of the bangle wrapped up twice around the wrist is 41 cm. 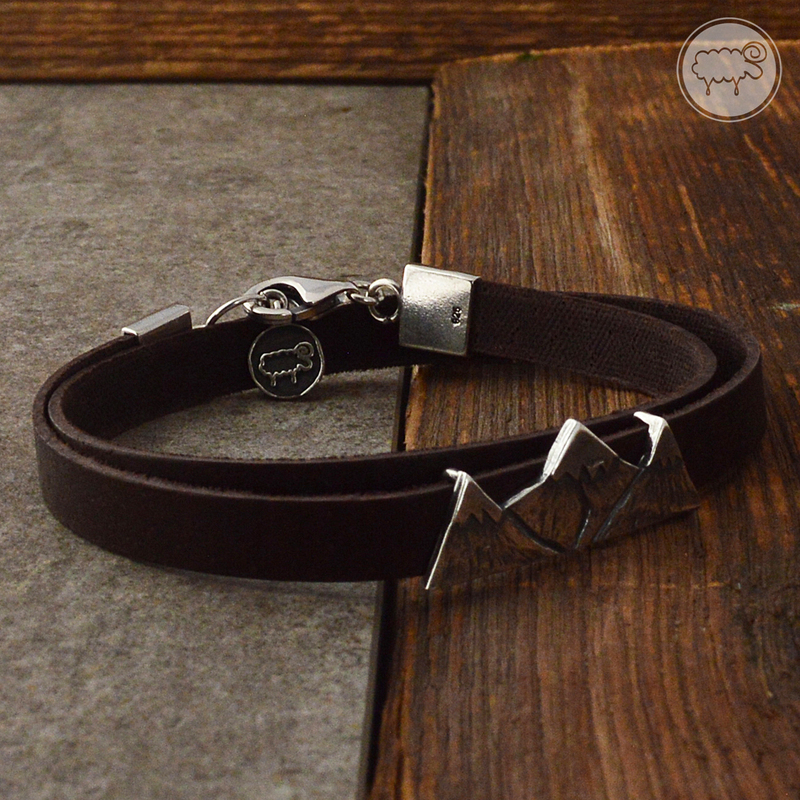 Each project of the wristband is very unique due to the handmade technique. The jewellery is packed into a fancy box.